Spastic colon is unpleasant. Actually, spastic colon is often used as another name for IBS aka IBS. No matter the term, this condition causes cramps, bloating, fatigue, nausea and other related symptoms. Approximately 15% of the U.S. population has IBS at some point. This condition starts mostly in teenagers. The number of women affected by the condition is twice as many as men. IBS is usually associated with stress. There has been no known IBS cases that caused cancer or damaged the gut, however the condition is painful. If left untreated, hemorrhoids or depression will develop. Doctors think that IBS may be caused by a neurological problem. Signals are sent between the brain and the guy. If you are under strain your brain fires either too few signals or too many to intestine muscles. This problem causes the intestine muscles to move food through the intestines too slowly or too fast. That leads to constipation and bloating or diarrhea and painful cramps. 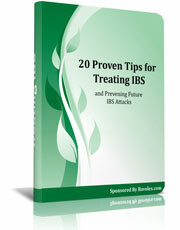 IBS is strongly associated with anxiety, sleeping disorders, and stress. There are OTC meds to cope with diarrhea or constipation and people think they're the best treatment solution. The relief you may feel is not permanent. It's impossible to fix the underlining issue using such meds. Anxiety pills might be provided by the doctor because of the connection of IBS to stress and anxiety disorders. There are people who become drug dependent on these drugs even after the IBS is gone. Ensure you know what synthetic materials are in the drug, so you know what disadvantages you get from taking them. When taken as directed and following the advice in our eBook you should see a great improvement in less than a week. A small percentage of our customers do not respond to our product, for this case we offer 60 days full money back guarantee. Our promise is simple: If you don't see an improvement, we do not want your money! Manufacturing safe products is extremely important for us. Bavolex™ contains natural herb and plant extracts that are considered safe. Our customers have been using Bavolex for many years, and so far no adverse events (side effects) have been reported. As with other products we recommend that you don't use Bavolex products if you are nursing or pregnant because the effects on fetus have not been tested. You should not take Bavolex if you are using blood thinning medication or antidepressants. 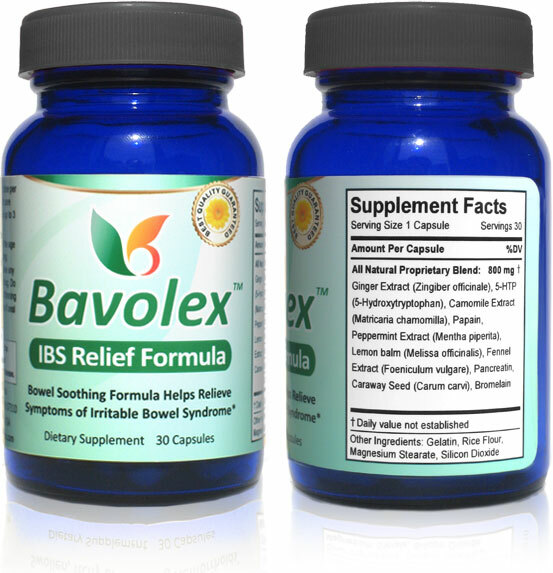 "Bavolex IBS Relief Formula is a dietary supplement formulated with enzymes and natural extracts to help control spastic colon symptoms. *"
Learn 20 key tips to get rid of spastic colon attacks for good. These tips cover stress reduction, ways to prevent an IBS attack, and diet. This no-nonsense eBook is a lesson on simple lifestyle changes. A priceless eBook for those who want to stop this embarrassing inconvenience. 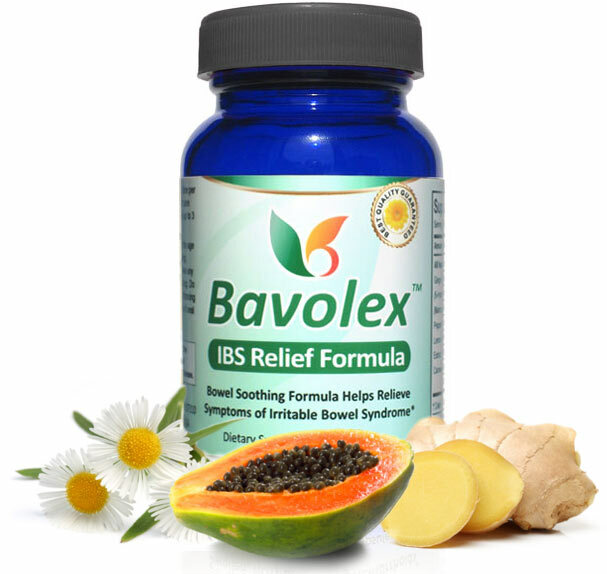 Natural irritable Bowel Syndrome help Bavolex Natural IBS Remedy Bavolex herbal supplement uses natural ingredients such as chamomile, fennel seed, peppermint, ginger and lemon balm, to name a few, as a natural IBS medicine.